Wade Wegner’s blog might be one of the most important blogs in the Salesforce developer ecosystem. Not only is he a good writer with keen insight, he runs the product management team responsible for Salesforce DX. So when he posts something it’s a good idea to check it out. A nice introduction to the Salesforce DX Pilot can be found in this post on Salesforce DX Pilot demos. This is a good place to start if you are curious to learn more about Salesforce DX and what is actually available in the pilot that was opened this year. You should also check out his recent post on Workbench and Scratch Orgs to learn more about Scratch Orgs and get a sense of what you can do with them. Bob Buzzard’s blog is consistently one of the best resources for learning about deep technical topics in Salesforce. Always on point and never shy about his opinions, Bob Buzzard (aka Keir Bowden) is a must read for any Salesforce developer looking to deepen their technical understanding of the platform. In May 2017, he put out a must read post on using Salesforce DX’s new concept of Scratch Orgs with Selenium. Much like Wade’s post, it gives you a more concrete sense of the possibilities that scratch orgs will provide when they become generally available. Selenium testing is also a good idea and the lucid description of how to incorporate these two technologies makes it a must read. And you can get his take on the Salesforce DX pilot here! Elements.cloud CEO Ian Gotts dropped by Salesforce Ben’s always-on-the-pulse blog to make the business case for upgrading to Lightning. 2017 is to be the year of Lightning and yet many teams are still hesitating to make the switch, letting “dare not wait upon I would”. Ian makes a clear case for why it’s in the interests of your business to upgrade to Lightning - it’s more than just a “cool new UI”. He highlights how Lightning can be used to actually improve processes within your organization. If you haven’t made the switch this is a must read. Jitendra Zaa might be the most prolific blogger in the community. He has written over 9 posts so far in 2017 and also puts out other great content like video tutorials. 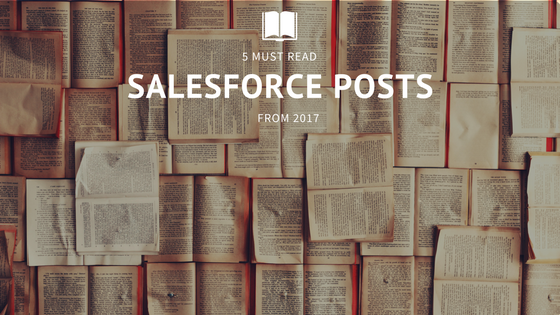 From Jitendra you can get no-nonsense, actionable, code-laden Salesforce posts that help you prepare for each release and adopt best practices. A must read from this year is his post on how the Summer ‘17 Release will break legacy Visualforce Navigation code in Lightning Experience. Jitendra has a plan for how to handle this if you are affected by it. While you’re at his site, you can check out his post on how to do Continuous Integration with VSTS. It’s a topic we’re fond of. Vinay Chaturvedi became a Salesforce MVP in 2016. His blog contains a lot of great content for devs and consultants working on the platform. One of his best posts is a series of App Exchange reviews. Vinay randomly chose a bunch of App Exchange apps and installed them. In this 4 part (so far) series, Vinay highlights some cool apps and reviews what they do so you don’t have to. It’s a great reminder of just how many great apps exist in the App Exchange today and that it’s always a good place to look before rolling your own functionality. 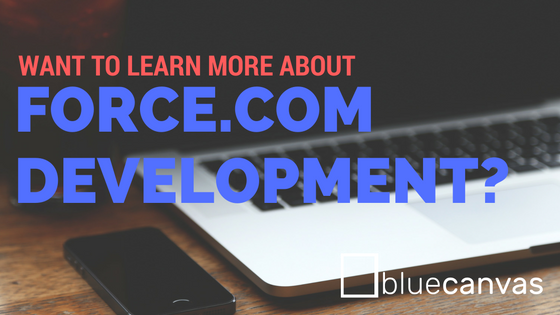 Signup to get blog posts about Salesforce development, source control and Continuous Integration every week.